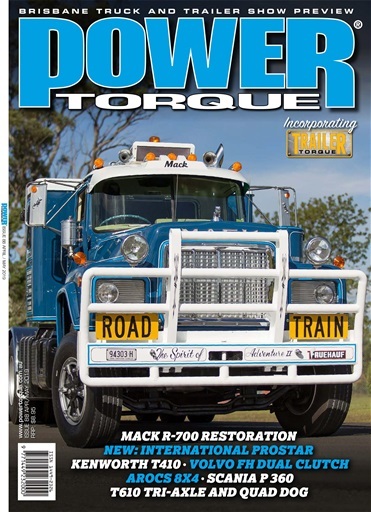 (0 Customer Reviews) | Write Review 6 issues per year PowerTorque is Australia’s market leading magazine for people who buy, operate and drive trucks, or just a trucking enthusiast. Its editorial content is focused on the On-Highway truck market with reports on the latest developments in engine and driveline technology, in-depth road tests, corporate profiles and product and equipment analysis. PowerTorque also covers the latest developments in the Off-Highway, Mining, Earthmoving and Marine industries as well as other interesting engine and driveline applications where the focus is on technology and efficiency. The latest issue of PowerTorque. 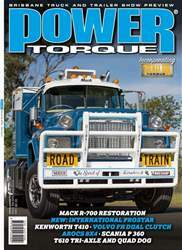 PowerTorque is Australia’s market leading magazine for people who buy, operate and drive trucks, or just a trucking enthusiast. Its editorial content is focused on the On-Highway truck market with reports on the latest developments in engine and driveline technology, in-depth road tests, corporate profiles and product and equipment analysis. You'll receive 6 issues during a 1 year PowerTorque magazine subscription. You'll receive 6 issues during a 1 year PowerTorque magazine print subscription.